Hi DIYers! As you may know, testing your equipment is an integral part of owning an alarm system. But your testing should go beyond just making sure your sensors work properly and that your panel communicates with the central station. Testing your sirens and sounders is also important. When you activate your monitoring service with Alarm Grid, there will undoubtedly be some testing involved. Our team will be checking to see if your system sends out signals successfully. This is a vital part of receiving a certificate of alarm so that you can get a discount on your homeowner's insurance. And as a DIY installer, you will be checking to make sure that all your sensors work properly. This includes things like walking through a room to see if your motion sensor notices your presence and opening and closing your doors and windows to check that your contact sensors perform correctly. But what about your sirens? Look, we know that testing your sirens isn't the most fun. They're loud. They scare pets. They make children cry. With that in mind, it's no surprise that some users decide to disconnect their sirens during system testing. This is perfectly fine in theory. After all, your system will still be able to communicate out, and its sensors will still work properly. You might think that you can just add your sirens later after testing. However, we're here to tell you that testing your sirens and having them activate is a step that every alarm system owner should take. But why should you test your sirens? The reason actually goes beyond the obvious answer of making sure the sounders and strobes work. It's also smart to have a good idea of exactly what your system's sirens sound like. That way if an emergency does occur, you will have a better chance of knowing immediately what is going on. Keep in mind that not all sirens are created equal. They can differ in terms of volume and pitch. By taking the time to listen to your siren, you are more likely to be ready if there ever is an emergency. Another thing that many users don't realize is that there are usually different noises for different types of alarms. For example, an activated smoke detector will typically produce a temporal 3 sound (three consecutive tones, then a pause, repeated), while an activated carbon monoxide detector will typically produce a temporal 4 sound (four consecutive tones, plus a pause, repeated). There are also continuous tone alarms (one long, steady tone) that are commonly used for burglary and intrusion alarms. Knowing what each alarm sounds like can potentially save your life in an emergency. For example, how you respond to a break-in won't necessarily be how you respond to a fire! At Alarm Grid, we want all our customers to be prepared when alarms occur. This includes knowing what sounds your equipment makes. If you're a monitored customer, we are happy to help you however we can. The best way to reach us is to email support@alarmgrid.com with your questions. You may also call us at (888) 818-7728 during our normal business hours of 9am to 8pm EST M-F. We look forward to helping you get the very most out of all your alarm system equipment. That includes your sirens, sounders and strobes! Hi DIYers! Our video team was super productive over the past week, as they put up nine new videos for us all to enjoy. Jorge, Jarrett and Joe are all back and ready to help you get the most out of your system. Let's take a look at the latest content from the Alarm Grid video team. Jarrett teaches users how to add additional codes to the IQ Panel 2. User codes can be assigned as a "Master", "User" or "Guest. A Master User can change system settings in addition to arming and disarming. Despite the name difference, there is actually no difference between "User" codes and "Guest" codes, as they have the same authority level. Any new system code that is added will be available on Alarm.com for further control and configuration. Jarret demonstrates how to disable the Chime function for the Qolsys IQ Panel 2 System. Normally if a zone has Chime enabled, then the panel will produce a brief Chime tone when the associated sensor is activated. However, you can disable Chimes for the entire system so that no faulted zones result in a Chime. You can also configure the Chime settings individually for each zone so that some sensors result in a chime, while others do not. Jorge explains how users can mute the voice annunciation function for the Honeywell 5828V Keypad. By muting the keypad, no voice annunciations will be produced when zones are faulted. It will also not announce any changes in the current Arming state. However, this will not affect voice annunciation for the panel itself if it has the feature enabled. Additionally, muting the keypad will not stop the device from producing tones when buttons are pressed. It only affects spoken voice. Jorge demonstrates how users can adjust the volume on a Honeywell 5828. This will affect the tones produced when keypad buttons are pressed. Unlike the the Honeywell 5828V, the standard Honeywell 5828 is relatively basic it terms of volume control. The volume can only be adjusted one level at a time, and it cannot be muted entirely. The keypad can be used with any LYNX Touch Panel and any Honeywell VISTA Panel that has an added wireless transceiver. Jarrett covers the process for updating the system firmware on a Qolsys IQ Panel 2. Performing a firmware update is often necessary for unlocking newly released system functions and capabilities. The IQ Panel 2 System will need to be connected with a local WIFI network and be running on transformer power for the update to go through. It also cannot have a low-battery condition. You can search the network for an update or apply a Patch Tag. Jorge teaches users the basics of how to use an alarm system keypad. The main purpose of a keypad is to provide an on-site access point for controlling an alarm system. This includes Arming and Disarming. A keypad can be either a primary controller or a secondary access point depending on the system. A primary controller is used performing deep-level programming changes. If you use a keypad as a primary controller, you should make sure it is an Alphanumeric Keypad. A Fixed-English keypad cannot be used for deep-level programming. Joe shows users how to install the Qolsys IQ Card-IS inside the IQ Panel 2 System. The IQ Card-IS module allows you to use Qolsys Image Sensors with the system. These devices use PIR technology to detect motion. If motion is detected, the image sensor will take a photo and send it to Alarm.com. Since the IQ Card-IS uses the same antenna as the PowerG daughtercard used with the IQ Panel 2 Plus, it is only recommended to be used with the standard version of the system. Joe explains the different methods for resetting a Honeywell Tuxedo Touch Keypad. There are four reset options that can be performed. A Keypad Reboot Reset will simply power cycle the device. A Keypad Factory Reset will restore all settings and configurations to default, without clearing Z-Wave devices. But the Z-Wave devices will have their names reset. A Z-Wave Reboot Reset will power cycle the Z-Wave controller, without clearing devices. A Z-Wave Factory Reset will default all Z-Wave setting and clear all Z-Wave devices. Joe goes through and explains how the Qolsys Hardwire 16-F functions. This is a wired to wireless converter that can support 2-wire smoke detectors on its 16th zone. It is primarily used for allowing wired sensors to communicate with wireless panels. The module works with nearly any system that accepts the 319.5 MHz frequency. Each zone terminal on the Hardwire 16-F must have a 4.7k end of line resistor, even if the zone is not used. Additionally, you must properly configure a zone as NC or NO before enrolling with the panel. Hi DIYers! Today, we're presenting another basic security tip. This tip is to never Arm or Disarm your system using your Installer Code. That system code should only be used for programming, and it should be kept at its default to prevent you from being locked out of programming later. If you go to Arm your system, you will often be prompted to enter a system code. Normally, you will use your Master Code or a standard user code to complete the Arming process. However, you will notice that your can technically Arm using your system's Installer Code. By doing this, you will make it possible for you to Disarm using that same code later on. But if you use your Master Code or a user code to arm, then you will not be able to disarm using your Installer Code. The problem with using your Installer Code to Arm and Disarm is that an intruder may know the code and use it to gain access to the system. Default Installer Codes are usually common knowledge, and an intruder will often try one of these codes in a quick attempt to disarm. While keeping the Installer Code at its default is good practice, you will never want to use this code on a regular basis. Instead, you should only use the Installer Code to enter programming when the system is already Disarmed. If you are using one of these codes to Arm and Disarm your system, then you should stop this practice immediately. Instead, you should use your system's Master Code to arm and disarm. Make sure you change the Master Code from its default before using it to control your system. Set it to a unique code that is difficult for others to guess, but easy for you to remember. Then use that unique and personalized code to Arm and Disarm when needed. If you need to create any additional system codes, make sure they are not obvious for an intruder to guess. You can Arm and Disarm using a standard user code just like you would a Master Code. If you are an Alarm Grid customer with questions about system codes, please reach out to us. We want to make sure you are using a secure code to Arm and Disarm your system and that you are not putting yourself at-risk for a security breach. Please email us at support@alarmgrid.com, or call us at (888) 818-7728 during our normal business hours of 9am to 8pm EST M-F. We look forward to hearing from you. Hi DIYers! Our team is back with another video recap. We have six new videos this week, as it was a dead even split between Joe, Jarrett and Jorge. Each of our talented actors had two new videos apiece. Let's take a look at the latest videos from the Alarm Grid Video Production Team! Jarrett puts on a smile as he shows users how to perform a factory reset on a Honeywell L7000 System. This is accomplished by loading one of the Default Configurations. By performing a factory reset, the entire L7000 System will need to be reprogrammed from scratch. All sensors will need to be relearned with the panel, and all system settings will be reset to their default. Additionally, the Master Code will be reset to its default of 1234, and the Installer Code will be reset to its default of 4112. Jarrett happily demonstrates how to bypass zones in Total Connect 2.0. When you bypass a zone, the associated sensor will remain inactive and be unable to cause a system alarm. For example, if you bypass a door sensor when arming your system, then people will be able to open and close that door without causing an alarm. However, all other system zones will still remain active as usual. Sensors must be bypassed individually for each Arming session. Joe explains how to address a Honeywell Alarm Keypad with a Honeywell VISTA Security System. Touch-button keypads use addresses 16 thru 23 on VISTA P-Series Panels. Address 16 is always enabled, while addresses 17 thru 23 must be specifically enabled within programming. Meanwhile, an Advanced User Interface (AUI) device will use address 1, 2, 5 or 6. Touchscreen keypads are considered AUI devices and will use one of these slots. Remember that the Total Connect 2.0 platform itself takes up an AUI slot. Joe talks about how how you can use a Honeywell LYNX Touch System as a secondary Z-Wave controller. This is done by pairing the system itself with a different Z-Wave hub. All Z-Wave devices from the primary hub will be automatically pushed over the LYNX Touch System. They can then be controlled from both the primary controller and from the LYNX Touch. However, you will need to use the primary controller to learn-in new Z-Wave devices. 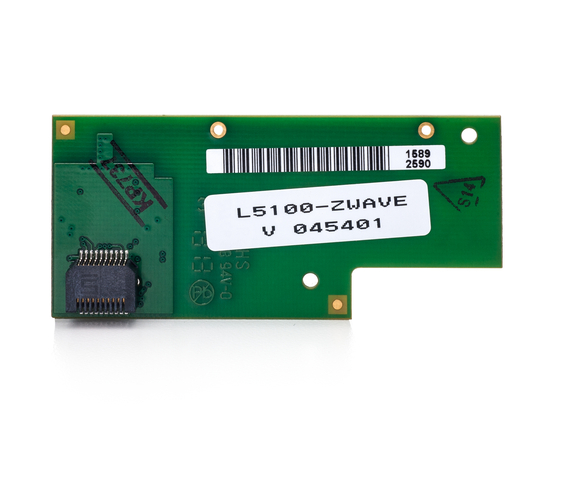 You must install an L5100-ZWAVE Card in the LYNX Touch System to support any Z-Wave functionality. Jorge with his colorful hair discusses the IP Fault Time Setting on the Honeywell Lyric Controller. This setting will have the system display a trouble condition whenever the WIFI goes down for a certain period of time. That way, the user will know later that the system was unable to communicate with the AlarmNet Servers. An IP Fault Time trouble will only appear on the panel if WiFI is set as the only communication path. If the system has a cellular backup, then only the central station will receive an E350 Communication Path Failure on Zone 951. Jorge walks users through the process of programming a Honeywell 5800CO with a wireless alarm system. 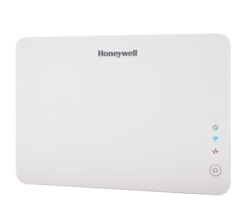 The Honeywell 5800CO is a carbon monoxide detector that operates at 345 MHz. It is primarily used with Honeywell Systems, but it will work with nearly any panel that accepts the 345 MHz frequency. The sensor will cause an instant system alarm when activated. All building occupants should vacate the premises immediately if a CO alarm occurs. When programmed as a 24-Hour Carbon Monoxide Zone, the 5800CO Sensor cannot be bypassed. Hi DIYers! Today, we're going to discuss the three main Arming modes used with alarm systems and explain how exactly they work. The three modes to discuss are Arm Away, Arm Stay and Arm Night. The key is knowing which Zone Types are active in each Arming mode and which ones are bypassed. 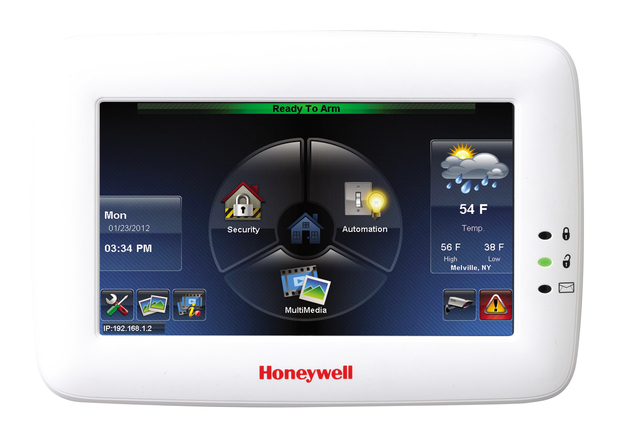 For the purpose of this post, we will be providing information specific to Honeywell Alarm Systems. However, this information can be applied across virtually any alarm control panel with the relevant Arming modes. Each mode has a specific application and time when it is most appropriate. Also remember that 24-Hour Zones (burg, fire, CO, auxiliary, audible, silent) will remain active at all times and can always cause an alarm, even when the system is disarmed. With that in mind, let's get started! Use when you leave your home. Perimeter Zones and Day/Night Zones will cause immediate alarms, including during the Exit Delay countdown. User must disarm within the set Entry/Delay Period after activating an Entry/Exit Zone or an Interior w/ Delay Zone, or else an alarm will occur. If an Interior Follower Zone is activated, then an immediate alarm will occur, unless it was activated after an Entry/Exit Zone. If Auto-Stay Arming is enabled, then an Entry/Exit Zone must be activated when Arming Away, or else the system will revert to Arm Stay mode after the countdown. The system will continuously beep during the Exit Delay countdown when Arming Away, unless a Silent Exit is performed. Use when someone is in the building, but you want the system to remain in an Armed state. Interior Follower Zones and Interior w/ Delay Zones are automatically bypassed and cannot cause an alarm. If an Entry/Exit Zone is activated, the user must Disarm within a set Entry Delay period, or else an immediate alarm will occur. The system will not continuously beep during the Exit Delay countdown when Arming Stay. Essentially a more-secure version of Arm Stay Mode. Set an Interior Zone to not be bypassed by enabling the Arm Night option for that zone within Zone Programming. Interior Zones without Arm Night enabled will be bypassed. Set Arm Night by choosing Arm Stay and then highlight the option for Arm Night on the code entry screen. Arm Night option is only available if you have at least one Interior Zone with the Arm Night option enabled. Mode when the system is not in a secured state. Most security zones can be activated without causing an alarm. The system will still display faulted zones, chime and read out Zone Descriptors if enabled. If a Day/Night Zone is activated, then a trouble condition will occur. If a 24-Hour Zone is activated, a system alarm will still occur. The 24-Hour Zone category includes most Life-Safety Sensors, such as smoke detectors and carbon monoxide detectors, as well as police and medical panic buttons. If you're an Alarm Grid monitored customer and you have any questions about your system's arming functions, please reach out to us. You may email support@alarmgrid.com or call us during our normal business hours of 9am to 8pm EST M-F at (888) 818-7728. And if you aren't already signed-up, then you can click the link in the upper-left corner of the page to get started. We look forward to working with you. Hi DIYers! Welcome to the first edition of Alarm Grid Tips! This is where we teach you basic principles about alarm systems. Most of these tips will be designed for beginners, so anyone can follow along! Today, we're going to show you why you should run a wire through the back of a panel. One of the first things you will do when setting up an alarm system is power it on. This involves connecting a 2-conductor wire to the appropriate power terminals on the back of the panel. This is something you must do whether you are mounting the panel to the wall or using a desk mount to avoid drilling holes. The panel will ultimately receive its primary power from a plug-in transformer. If you have a wireless system, you will want to run the unconnected power wire through the back plate before connecting it to the panel. This way, you can properly close the panel. If you try to connect the wire first, you will feel pretty silly when you have to disconnect the wire and then redo the same connections! The principle is the same if you have a hardwired panel. These systems are normally housed inside a metal enclosure. You will want to run any connecting wires through one of the openings on the side or in the back. This way, you can properly close the metal cabinet door. You can see this on our Honeywell VISTA 21iP System below. Note that we removed the door for easy access, but we would be able to close it if it were still attached! Also remember that you must follow proper polarity if your system is running DC power. The black wire will connect to the negative (-) terminals on the transformer and the panel. The red wire will connect to the positive (+) terminals on the transformer and the panel. If you are using AC power, then either wire can go to either terminal. Make sure you know whether your system uses AC or DC power before wiring! That concludes today's Alarm Grid tip! Keep an eye on our blog for more tips in the future. We will also let you know if there's any important new security news. If you're an Alarm Grid customer in need of assistance, or if you are interested in an alarm monitoring plan, please reach out to us by emailing support@alarmgrid.com. You may also call us at (888) 818-7728 during our normal business hours of 9am to 8pm EST M-F. We look forward to hearing from you! Hi DIYers! We're back with another video recap today, this time covering March 4th thru 7th. We have seven new videos this time, so it really was a busy week. Our team loves making these videos and helping users learn how to use their security systems. Let's check out the new videos! Joe shows users how to pair a Qolsys Image Sensor to a Qolsys IQ Panel 2 System. The Qolsys Image Sensor is basically a motion sensor with a built-in camera. When it detects motion, the camera will take a picture and send it to Alarm.com. The end user can receive a notification from Alarm.com via text or email whenever an image comes through. They can then check the image to see if there is suspicious activity. The image sensor has a detection range of 30 feet. Joe demonstrates how to pair the Honeywell 5800RP Wireless Repeater with a Honeywell Alarm Panel. The 5800RP takes the signal from a Honeywell 5800 Series device and sends it out a second time. This effectively doubles its range. The module is technically a plug and play device, and you don't need to program it to a panel for it to repeat signals. But enrolling it is necessary if you want to receive alerts for RF supervision, low-battery and AC power loss. Jorge the "Blue-Haired Bandit" explains how you can silence the Exit Delay on a Honeywell Lyric Alarm System. Whenever a user sets their Lyric to Arm Away, there will be continuous beeping during the Exit Delay countdown. A user can silence this countdown by selecting the Silent Exit button on the code entry screen. This option will also be available if a user selects Arm Custom. The Exit Delay period will be doubled whenever the countdown is silenced. Jorge explains how it is possible to use 2GIG 345 MHz Sensors with a Honeywell Lyric Security Panel. The Lyric System must be running firmware update MR3 or higher to support these sensors. The 2GIG Sensors operate on the same 345 MHz frequency as the Honeywell 5800 Series Sensors, only on a different channel. The Lyric can also support the Honeywell SiX Series Sensors, which utilize 128-bit AES encryption for added security. The SiX Sensors were designed exclusively for the Lyric. Super-duper Alarm Grid Team Member Jarrett bounces into action by showing users how to pair a Z-Wave Smart Home device with the Qolsys IQ Panel 2 System. Once a Z-Wave device has been paired with an IQ Panel 2, a user will be able to control it directly from the panel and remotely from Alarm.com. Before trying to pair a Z-Wave device you should always clear it from the network first. It may have been paired with a different network for factory testing purposes. Jorge goes through the process of pairing a Qolsys IQ Remote Keypad with a Qolsys IQ Panel 2 System. The IQ Remote provides a secondary on-site access point for an IQ Panel 2 System. It is great for users with larger properties who may want to control their system from multiple locations. The IQ Remote allows for all basic functions, including arming, disarming, bypassing sensors and controlling smart home devices. However, programming must still be completed from the main system. Jorge walks users through the steps for pairing a Schlage Z-Wave Lock with a Qolsys IQ Panel 2 System. The IQ Panel 2 includes a built-in Z-Wave controller for supporting Z-Wave devices. This includes most Z-Wave locks. Once the lock is paired, you can lock and unlock the door from both the panel and from Alarm.com. By using Alarm.com, the user can push user codes from the IQ Panel 2 to the Schlage Z-Wave Lock. This way, they can disarm their system and unlock their door by simply entering a valid panel user code into the lock. Hi DIYers! Today, we're going to be discussing Response Types and what exactly they refer to. Simply put, a zone's Response Type tells a security system how to respond when the associated sensor is activated. It is one of the most important settings when performing sensor programming. Whenever you enroll a new sensor, you will need to program a variety of settings. One of these settings is the Response Type. This is the zone setting that instructs the alarm system how to act when the sensor enrolled with that zone is faulted or activated. If you want your security system to function properly, then choosing the correct Response Type is crucial. After all, a programmed sensor is no good if the system doesn't take the appropriate action! Not all systems refer to this setting as "Response Type". For example, the Qolsys and Interlogix/GE Systems refer to this setting as "Sensor Group". Meanwhile, 2GIG Systems take their own spin on the name by referring to the setting as "Sensor Type". But Honeywell Systems keep things simple by sticking with the "Response Type". name. These titles all basically refer to the same zone setting, but each may have slightly different selections available. What are Response Types for a Honeywell Lyric Alarm System? What are Response Types for a Honeywell LYNX Touch L5210 or L7000? What are Sensor Groups on the Qolsys IQ Panel 2? What are Sensor Types on a 2GIG GC2? An Entry/Exit zone is a sensor that is activated when entering and exiting the building. As one might expect, it is usually reserved for door contacts used at entrances. You could also use it as a window contact if you like to use your window for coming and going - we won't judge! When your system is Armed, the general expectation is that the next sensor that will be activated will be an Entry/Exit zone. This is because no other sensors are supposed to be faulted until someone new comes into the building. When an Entry/Exit zone is activated, the system understands that someone new has entered or exited the premises. It then responds accordingly based on the current Armed state. If the system is Armed Away or Armed Stay and an Entry/Exit zone is activated, then you don't want an immediate alarm to occur. It's perfectly normal to come home for the day while your system is armed! However, you want to make sure that it's you entering the home, not a stranger! That is why the system will go into an Entry Delay countdown. This will give you a chance to disarm the system before an alarm occurs. If no disarm occurs within this period, the system will go into alarm. A unique aspect of an Entry/Exit zone is that it can be used to put the system into Arm Away mode when Auto-Stay Arming is enabled. If you set the system to Arm Away, the expectation is that nobody is inside the building. As a result, at least one Entry/Exit zone would need to be activated during the Exit Delay countdown. If no Entry/Exit zone is activated during this period and Auto-Stay Arming is enabled, the system will revert to Arm Stay mode instead. You can learn more about Auto-Stay Arming here. An Interior Follower zone is a sensor located inside the property. It is usually reserved for door contacts that are not used for entering and exiting and motion sensors located inside. What's unique about Interior Follower sensors is that they are only active when the system is set to Arm Away. They are automatically bypassed when the system is set to Arm Stay. This way, anyone remaining inside the building can continue to move freely. But if an Interior Follower sensor is activated while the system is Armed Away, then an immediate alarm will occur. This is because the system believes there is a security breach, and someone is inside the building when it should be empty. But there is one exception to this rule with Interior Follower zones. An Interior Follower zone will not cause an immediate alarm if it is activated after an Entry/Exit zone. In other words, the Interior Follower sensor follows the Entry/Exit sensor in that scenario. The reason why the Follower aspect is important is because if a user activates an Entry/Exit zone while their system is Armed Away, they might need to walk past their Interior Follower motion sensor to get to their panel to disarm. With Interior Follower, the user won't have to worry about activating the sensor and causing an immediate alarm. As long as the Interior Follower sensor is activated following the Entry/Exit sensor, the user will still have a chance to disarm during the Entry Delay period like normal. A Perimeter zone is a security sensor that should never be activated while the system is set to Arm Away or Arm Stay. It is commonly used for glass break sensors or shock sensors that would really only be activated if someone were trying to break into the building. It is also commonly used with window contacts that an intruder might activate to gain entrance. This setting may also be used for an interior area if it is particularly secure. With the Perimeter setting, a sensor will cause an immediate system alarm if it is activated while the system is armed. There will be no chance to disarm the system. However, no alarm will occur if the sensor is activated while the system is disarmed. This is one of the most secure zone options available. It is not for sensors that would be normally activated while the system is in an Armed state. A Day/Night zone is a sensor that is always kept secure. It is short for "Trouble by Day and Alarm by Night". Some panels may simply shorten the name to a "Day" zone. This setting is commonly used for highly secure areas that should not normally be accessed. It may also be used with flood sensors or temperature sensors that are shouldn't activate in any system state. However, you should make sure to let the central station know that they are environmental sensors, not burglary sensors! Failure to do so could result in emergency dispatch due to something like a water leak or a broken HVAC unit! If a Day/Night sensor activates while the system is Disarmed, then a trouble condition will appear on the panel. But if the system is Armed, then an immediate alarm will occur. The idea with the name is that the system would normally be Disarmed during the Day and Armed at night. This option as good for many situations because it will make sure the user is alerted regardless of the current system state. But they will only receive emergency dispatch if the system is armed. A 24-Hour zone is the most secure type of sensor used with a system. This is a sensor that should never be activated unless there is a real emergency. There are multiple types of 24-Hour zones, including 24-Hour Fire, 24-Hour Auxiliary and 24-Hour Carbon Monoxide. As one might expect, a 24-Hour zone is most often used with life-safety devices like smoke detectors, carbon monoxide detectors, panic buttons and medical alert buttons. It may also be used for doors that should absolutely never be opened, such as emergency exits or fire doors. If a 24-Hour zone is activated, an immediate alarm will occur. This will happen whether the system is Armed or Disarmed. A central station takes these zones very seriously, and these sensors should only be activated in an emergency. Reserve these zones for the most secure sensors only. If you don't expect the central station to request immediate dispatch when a 24-Hour zone activates, you should make sure to provide special instructions to the monitoring station.